SALEM — Just a week into the 2019 Legislature, unrest between Democratic and Republican legislators has surfaced over landmark legislation to reduce Oregon's greenhouse gas emissions. Legislators have been anticipating the environmental push as a major issue in the session, putting Oregon in the forefront of tackling carbon emission changes through government policy. 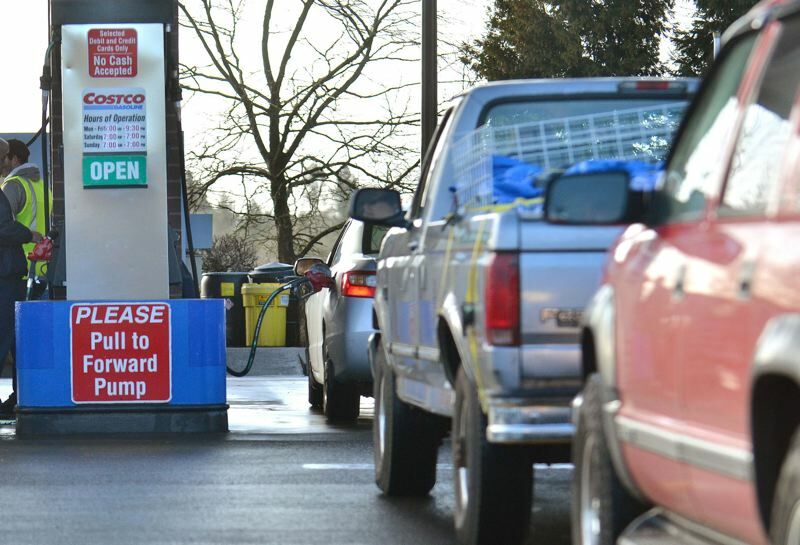 The proposal could affect every Oregonians in many ways, increasing costs for things like gas and manufactured goods. On Monday, Jan. 28, Sen. Cliff Bentz, R-Ontario, aired his grievances in a Portland Business Journal article, saying he had been shut out from crafting of the legislation despite being a vice chair of the Joint Committee on Carbon Reduction. Bentz said he was very much a part of the process, meeting with the other committee leaders often twice per week, until Dec. 21. Since then, he said, it's his understanding that Sen. Michael Dembrow, D-Portland and co-chair of the committee, and representatives from the Governor's Office, House Speaker Tina Kotek's office and Senate President Peter Courtney's office have been working with the legislative lawyers craft the bill — without Republican input. "I guess "I'm in the dark when it comes to who's been working on the bill," Bentz said Tuesday, Jan. 29. Bentz, an attorney, said he believes there is an effort to push the bill through quickly so Democrats can move on to other large agenda items. He worries such important legislation won't be carefully considered. "My concern is not that the bipartisan element has been lost, although it is odd after all that work over the course of the year I would be left out," Bentz said. "What's much more concerning is that this is a complicated piece of work, and there's zero reason to rush on this bill." On Monday, House Republicans accused Democrats of hiding the bill, expected to become public Thursday. "From what I have heard from many people is that bipartisan ideas are the best," Rep. Shelly Boshart Davis, R-Albany, said in the Republican statement. "This should be a bill that is bipartisan for all Oregonians. Yet, the fact is, the bill has only been seen and written by one party. I think that one might need to simply say we don't want your help in this bill." Denbrow said no one is being shut out. He said a legislative attorney assigned to the legislation took a week off during the holidays and the process is taking longer than expected. Rep. Karin Power, D- Milwaukie, also a co-chair, opened Monday's committee meeting by addressing the elephant in the room. "We all would love to see this bill," she said. "We're a little behind in Legislative Counsel and in publications and its causing frustration, but that is not because we are sitting in a closed room somewhere drafting it." On Tuesday, Power said she has since met with Republicans in the committee but declined to elaborate on the conversations. Power said she and Dembrow intend to hear from Republicans and others impacted by climate change or facing new financial burdens from new regulations. Anna Braun, Courtney's legislative director, said committee leaders from both parties have met regularly to discuss the legislation since the summer. The only change was when the concepts were sent staff attorneys to turn into draft legislation in late December. Dembrow said he doesn't have the draft. The partisan divide comes just months after an election cycle that gave Democrats a three-fifths majority in the House and Senate as well as re-election of Democratic Gov. Kate Brown. Republicans had warned that Democrats would act alone to push through major legislation. Democrats have promised continued work with their Republican colleagues. In an interview Tuesday, Dembrow said the Republican complaints are a tactic to undermine the legislation, which Bentz has long opposed. "To prepare for what's going to be a controversial debate over this subject, I think that they are trying to poison the well," Dembrow said. Dembrow said the legislation is similar to what was introduced in 2018, and that he has shared with Bentz the final directives given to legislative lawyers. Bentz confirmed that, but said he found the concept problematic. He said polling shows Oregonians clearly want to regulate carbon. But Bentz wants to make sure the state doesn't hurt individuals and the business community. He wants to call out the dangers of the bill, which he says could put a "straightjacket" on Oregon's economy. "It's deeply concerning because we don't have all the time in the world," Bentz said. "This sends a signal that there is a rush to get this thing passed way sooner than when it probably should be passed. It's a really complex piece of work." The legislation, a cap on carbon emissions for some sectors, has been hotly debated in the Legislature for a few years. It was abandoned in 2018 as time ran out during a short session of the Legislature. But even after all the study and testimony, some members of the committee are worlds apart. On Tuesday, Sen. Alan Olsen, R-Canby, took to the Senate floor to denounce the cap and trade effort, saying the worst polluters reside in other countries and Oregonians shouldn't take on the burden of limiting emissions. Dembrow, standing toward the back of the Senate floor, flashed a wry smile. After, he said Olsen is holding a "marginal position." Olsen has often been critical of the widely viewed scientific outlook that climate change is human-caused. 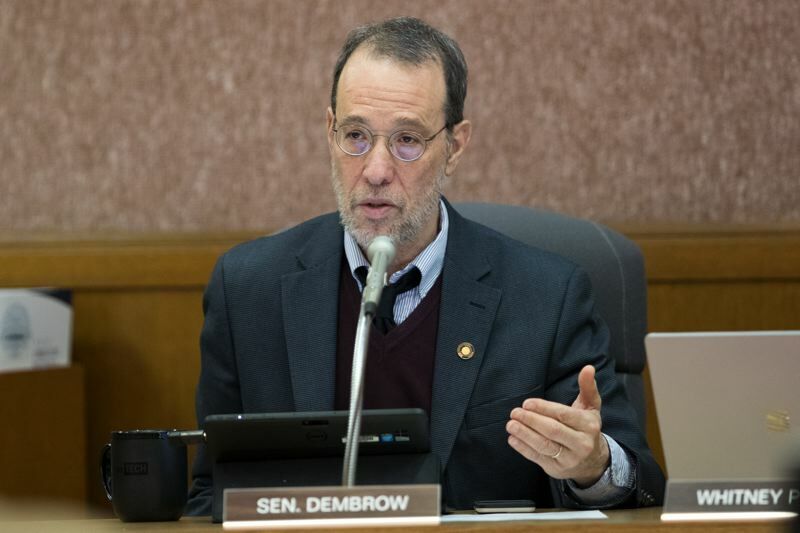 Dembrow said the Legislature created the Oregon Climate Change Research Institute in 2007, which is stocked with researchers from public colleges around the state. It works to vet the research coming out of the scientific community to inform legislators. "I'm inclined to listen to them," Dembrow said of the scientific community. Dembrow hopes to get bipartisan support, but he doesn't know if that will happen. "This is a subject fraught with political controversy," he said. "Our goal is to put forth the best program, the best piece of legislation that we can, that can be a model for other states to follow." Courtney said he prefers bipartisan legislation, but won't apologize for acting otherwise to pass good policy. "There comes a time when if you can't do it, then you gotta do it alone with just your own family," Courtney said. "I don't like that, but I'm not going to deny that." Courtney said he became aware on Friday, Jan. 25, that conversations about the carbon bill between parties had broken down, though he didn't think it was intentional. He came in during the weekend to talk with a Republican senator about it. Courtney said he doesn't know if the rift between parties will last. He said the most significant legislative input isn't in drafting a proposal but in debating and amending it. "I'm a bill guy," Courtney said. "I'm not a 'let's have a conversation.' Everybody's walking around here wanting to have a conversation. What is that? I want a bill. Get me a bill, and then we'll start to go." Dembrow said he has worked to keep the proposal from being a political cleaver. "We've been trying to treat members of the other party with respect and a kind of professionalism," he said. Bentz said overall, Dembrow has been patient in hearing his concerns. "I don't know how much consideration I got," he said. "I haven't seen the bill." Reporter Aubrey Wieber: aubrey@salemreporter.com or 503-575-1251.